Made in regular quality crepe and net, design, style n made by Indoshine, you can order any quantity but price will be as per order Volume and quality of fabric client prefers. 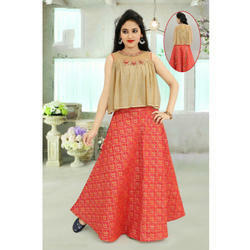 We are offering Designer Wear Gown. This Party Dress is comfortable for all seasons and is made of lycra. We have been counted amongst the most trusted names in this domain, engaged in providing Fancy Slit Dress.